As featured in This Old House Magazine: "A must for us." 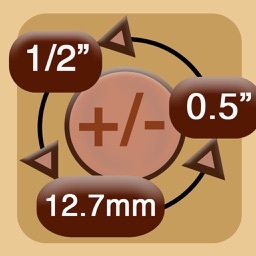 The Woodshop Widget is a rich collection of wood-related utilities, ranging from board volume calculation to shellac mixing aids, squareness testing and many other goodies. It is useful in woodworking as well as in DIY and construction/contracting projects. It contains a wide range of functionality that handles many tedious tasks simply and clearly. 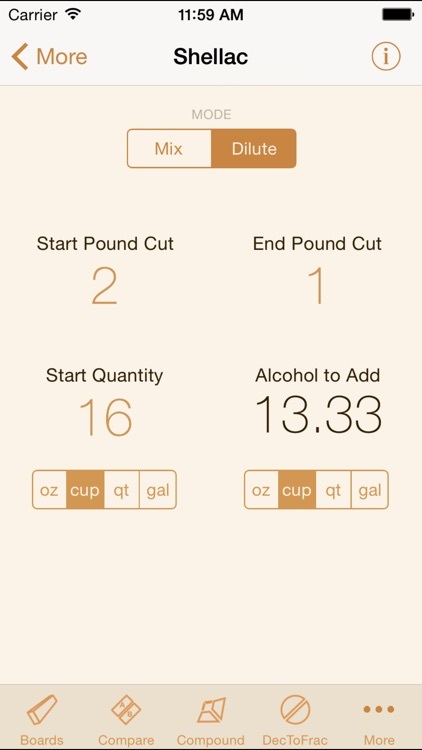 The Widget understands Imperial and Metric, and the local measurement system for your iOS device is used by default. 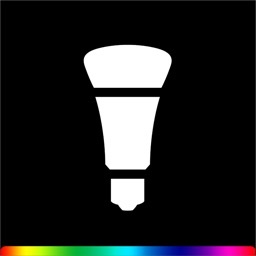 You can change this at any time with the app settings. It also uses a custom keyboard for quick access, making editing both efficient and immediate. 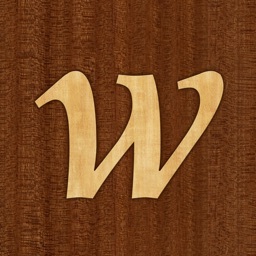 Be sure to check out the online companion site, which includes all of the same features, at woodshopwidget.com! Shows an estimate of how much a board might grow and shrink under different conditions, based on verified information for over 270 distinct species. 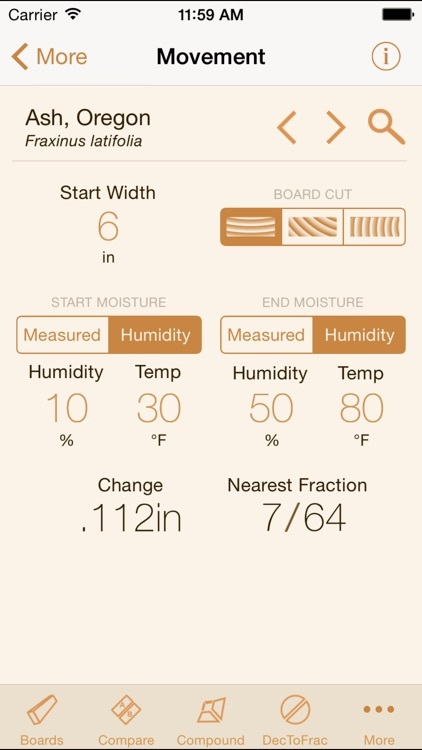 You can enter measured or humidity-based water content, board width, and how the board was cut from the tree (anywhere from flat to quartersawn). The amount of change is shown as you edit. Easily enter the 3 dimensions required for calculating board volume and get an immediate amount. You can also enter a price and quantity of boards for a total price. The local currency is automatically used when entering prices. 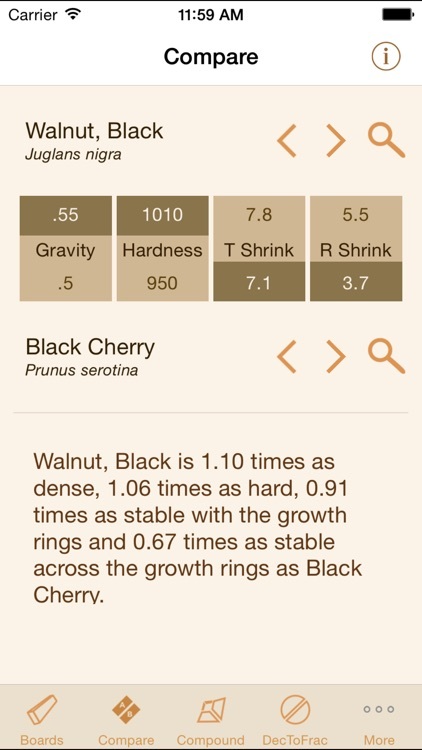 A species comparison tool that lets you walk through information on up to 288 species of wood, comparing hardness, density and movement. 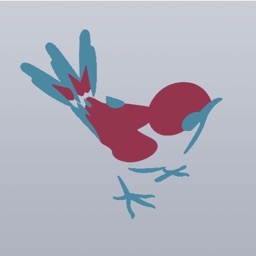 It even shows you which species is "better." Create compound miter cuts with any combination of angles! Cuts for crown molding, cupolas and sloped boxes have never been easier to make. 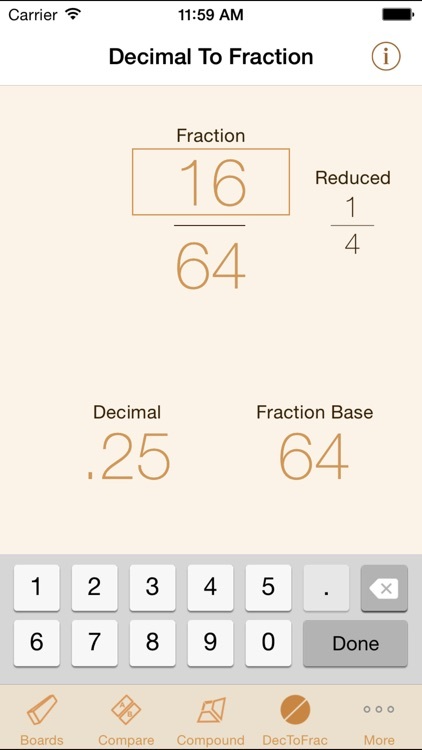 Enter fractions and see the decimal results, or enter decimal values and see fractions calculated, all in one place. Remainders and reduced fractions are automatically shown. A species data viewer which also includes "other names" for up to 288 species. Mix or dilute shellac in any amounts. Enter a "pound cut" and the measurements are balanced for you. Mix as much or as little as you need, using not only gallons and pounds, but also cups and ounces or liters and milliliters. Dilute from any pound cut that you have on hand to any other concentration, instantly! Test your framing squares, combination squares, carcasses or anything else that needs a perfect right angle for accuracy by measuring lengths. 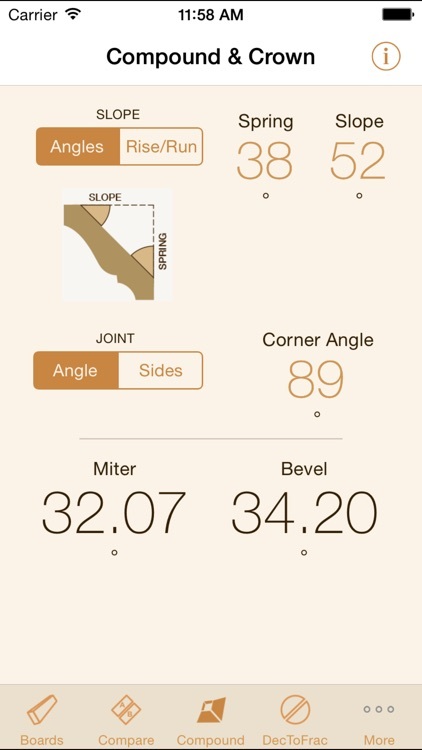 The Widget will show you how far from "right" the angle is. 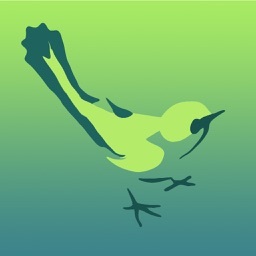 AppAdvice does not own this application and only provides images and links contained in the iTunes Search API, to help our users find the best apps to download. 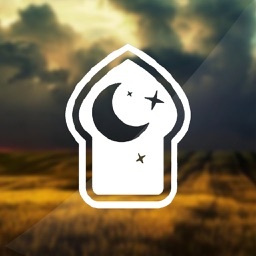 If you are the developer of this app and would like your information removed, please send a request to [email protected] and your information will be removed.